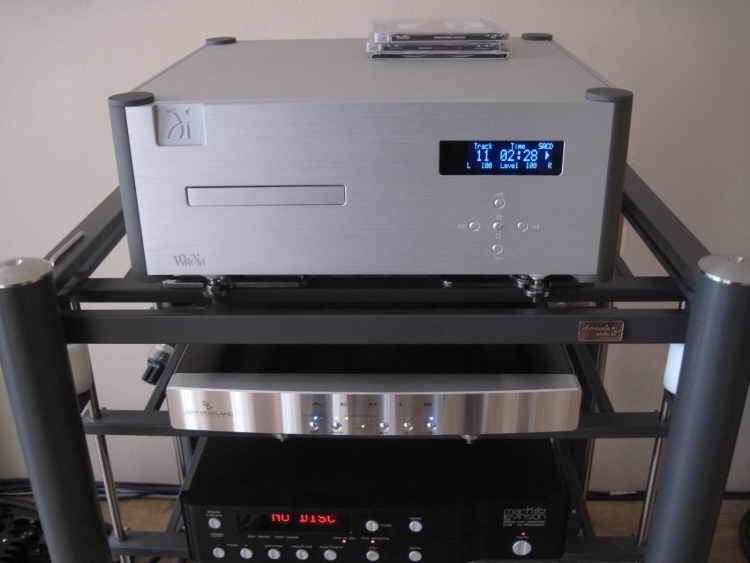 The Wadia 861 needs no explanation: it is perhaps the company’s most succesful CD player and a lot has been written about it worldwide. I have done my share on this very website, too. But no matter how succesful and reliable a CD player is, at some stage the competition catches on. In case of the 861 definitely not in all aspects mind you, as the good old 861 still remains king for soundstaging and bass solidity. Of course the 861 was always a bit dark, needs plenty of TLC to sound its best and even then is not world class in terms of low level resolution or treble quality. But there are other factors at play, too, which will have made Wadia decide to issue a new player. There was of course some turbulence business-wise, but I think the most inportant factor was that of transport availability. 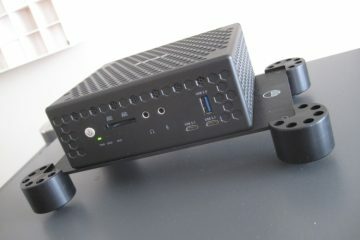 The good old, reliable Teac CMK 3.2 VRDS transport was simply no longer available and a new transport had to be sourced. This is not as easy as it sounds: these days, manufacturers of OEM transports are very scarce, and continue to decrease in number with every passing year. The 581 uses a RayMedia mechanism with Sanyo optics. 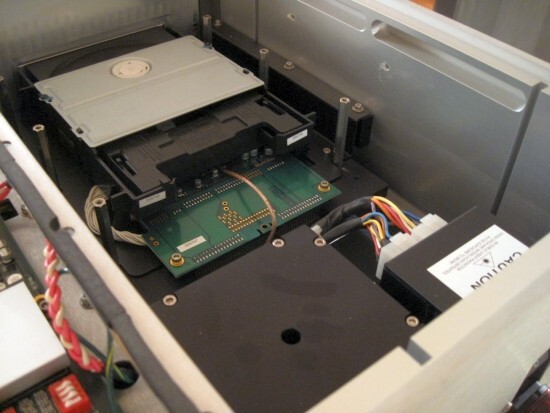 The drawer assembly is made of cheap, overly flexible plastic, and non-Wadia worthy, but at least the transport’s response times are ok. Initital disc loading is indeed slower than with the 861 or any other CD-only player, but in no way as slow as it used to be with some early SACD/CD players, and once TOC is read, it almost responds as quickly as a normal CD player. Track search is a little odd though, with several search speeds chosen by the number of clicks on the search button. During search, the sound cuts out mostly while playing very small chopped soundbytes as it scans the disc. This choppy sound makes it more difficult to hear where exactly you are in a given track than with a normal CD player’s search. But importantly, the resultant playback sound does not seem to be hampered by this mechanism. Judged by itself, the 581 is immediately recognisable as a Wadia for its big and eveloping soundstage and natural timbre, with good, solid bass. The latter is interesting as I always figured that the typical Wadia bass was inherited from the Teac VRDS transport. While this is partly true, it is also true that a Wadia always sounds like a Wadia, even if it uses a very different drive as transport. However, even without direct comparison it is clear that the 581 is quite different from the 861. It shares soundstaging properties and timbre, but direct comparisons show that the similarities don’t go much further than that. First difference is in the treble, which is noticeably airier and subtler, and more open with the 581 than with the 861. Second, midrange is less full-bodied and perhaps a little too clean, but at the same time less leaden (more airy) than with the 861. In a way, the 581’s midrange reminds of the ethereal way that the Ayre CX7’s midrange sounded: fluid, but lacking some body. However, it is wholly natural and in no way synthetic, as for example the Esoteric X-03 can be. Finally, the bass. 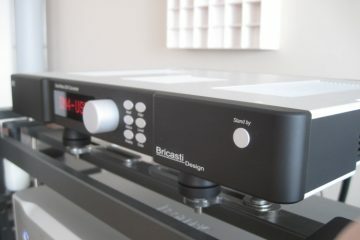 With the 861 the bass can be overwhelming and even woolly if the player is not set up correctly. The 581 seems to be more balanced: less voluptuous in the bass, but still strong and tuneful, and with better speed and articulation, it seems to be spot on. On balance, the 581 could be seen as a more refined alternative to the 861. However, in spite of its lighter tred, better articulation and better low level detail, the 581 can be on the overly controlled/restrained side. The 861, for all its fulness, seems to be more elastic in terms of speed and dynamics variations. The old beast just seems to flow more with the music, being introvert and enthusiastic precisely where needed. Also, the 861, in spite of having less open treble, seems to sound more “sunny” and positive. 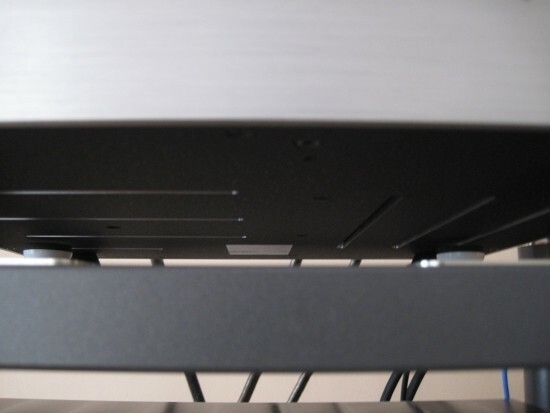 The Wadia 781 that I would later review, doesn’t exhibit this phenomenon, and with the 781 being so similar to the 581, this may well be exemplaric, just like an old Marantz CD94 can sound either fast and dynamic or slow and tubby depending on the one you accidentally end up with. 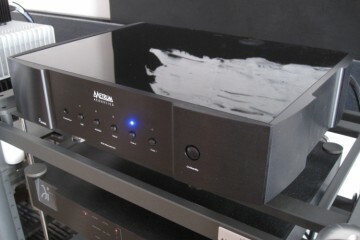 The 581 is sort of like the Wadia 861 Basic, so without inputs and outputs. The 581i caters to that. 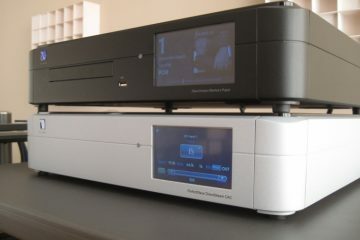 The 581 also plays SACD’s, and when it reads them, they sound very good indeed. 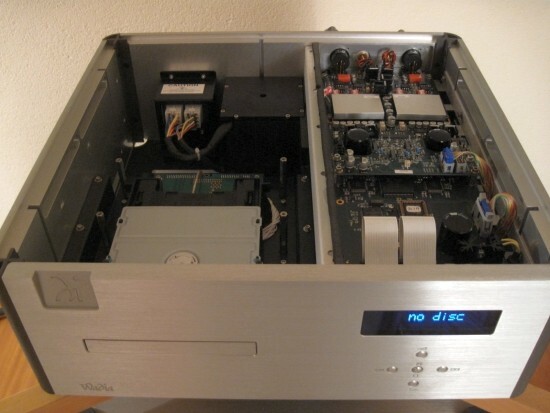 This unit apparently had trouble with SACD’s, not reading the TOC of the majority of my SACD discs and skipping randomly with some others. But I have to say, based upon the ones that did play, the 581 (the 781 that I reviewed later notwithstanding) is the best sounding SACD player I have heard yet. There’s added spaciousness, more precise soundstage layering, better treble air and extension, and a much more analog-like flow, that makes for an immersive listen. However, in line with all my SACD experience prior to this one, the bass was also quite a bit thinner and less rooted rhythmically, and this made it sound a little less like an archetypical Wadia, and this made me prefer well produced CD’s to the average SACD. That said: CD’s do sound pretty course once you’ve listened to SACD for too long, so I must admit that CD is not perfect either. Leaving SACD playback, and returning to CD-only playback, I took the 581 to my long time audio buddy JW, who has similar taste in audio equipment as I do. He also has a similar system, and an 861 Basic. Above: 581 op top, 861 second from the top. The picture was taken at night and doesn’t really show this, but this particular 861 Basic, like the 861 I owned some years ago, has its logo and all fascia text printed on, while the 581 has all this classily engraved. However, I know of an 861 which also has this – apparently a late version. 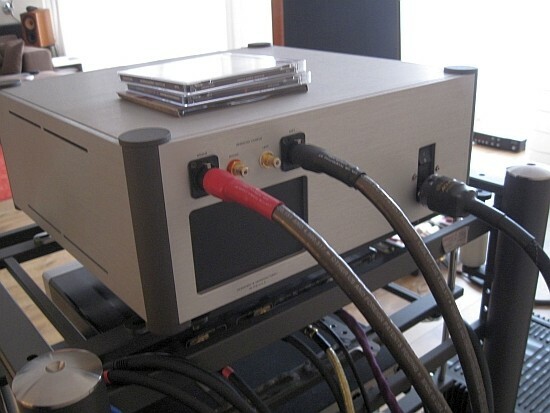 Regular readers know that I am no fan of connecting sources direct to the poweramps. Your mileage may vary, but in my system this never sounds better than via the Rowland Coherence II preamp. 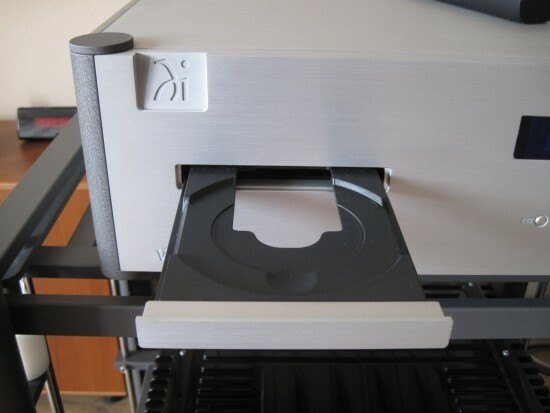 Especially a Wadia 861 will sound more accurate and will have better bass when connected directly, but its already dry treble will be even drier, and combined with the downsides of the digital volume control, the whole just becomes too unforgiving. But because I was reviewing the 581 primarily for a friend who planned to use it without a preamp, I decided to give it one more go. With the 581 and 861’s internal switches set to the same output level, comparisons started. The 861 sounds familiar in JW’s setup when connected directly to the Rowland sixes: big and bold, but also a bit coarse and lacking air and finesse. 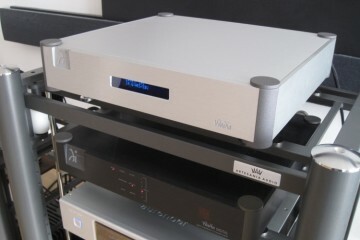 Bass however is a lot better played direct than via the Rowland Synergy 2i, something that did not come as a surprise. We both quite enjoyed the adrenaline shot, but then quickly tired of this presentation, so it was time for the 581 to show its colours. 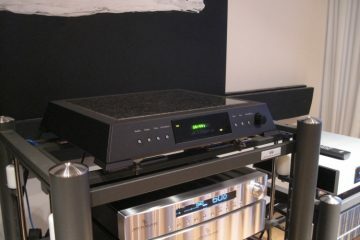 While the 581 sounded a bit restrained in both my setup and JW’s setup, when connected via a preamp, when driving the poweramps directly, the 581 really shines. 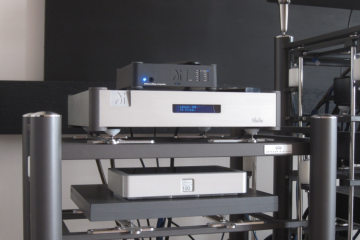 Without preamp it is even more obvious that the 581 has much better treble resolution and air than its forebear. What’s more: its volume control affects the resolution far less than does the 861. 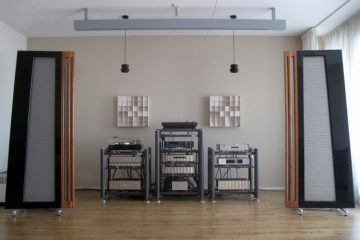 The 581 can be set at any level and still sound resolved where the 861 starts to sound choppy at anything less than 85. Lastly, the aforemention sense of restrain and less “sunny” character, is greatly diminished when playing directly. 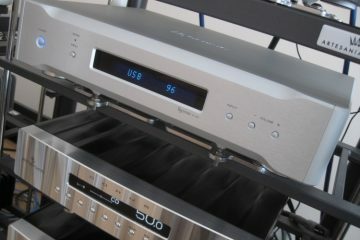 So, it would seem that the 581 is the ideal CD player to use without preamp. Above: The slits in the sides are obvious, but less obvious are the ones in the bottom plate. All these slits are rumoured to have been added because the 581 had heat issues. To me this seems strange because: 1. The Wadia 861 never became more than ever-so-slightly warm and it had no venting holes anywhere. 2. The 581, like the 861, does not get warm at all, even when left switched on and playing for a week and with hot weather outside (I have no airco). 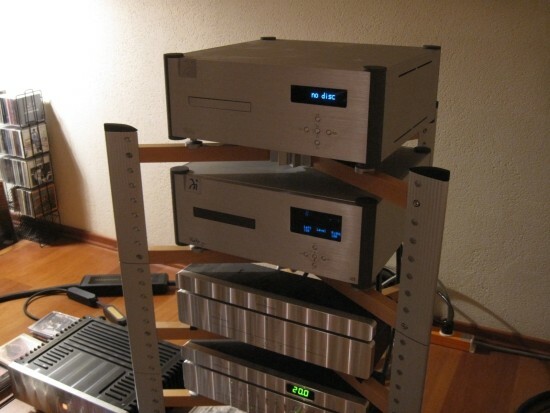 As I would later find out, the Wadia 781 that I would review after the 581, actually does run quite hot, and therefore it seems more likely that Wadia just built one enclosure catering to both the 581 and 781. Some reservation with respect to issues with this particular sample aside, I think I can safely say that the 581 has ticked all the boxes where the 861 could use improvement, such as more treble extension and air, better low level resolution, improved volume control and an overall quicker, more modernised sound. The two players don’t sound very much alike though, so whether you will prefer the 861 or 581 will depend on your own preferences. Ultimately, while not quite S7i material, the flagship sounding more dynamic and ballsy, and with better pace, all in all, the two are really not that far removed either. So there you have it. Successor to the 861, the 581 sounds more like an S7i than it does like an 861. Have you ever heard the 381i? Is it the same as the 581 but only redbook support? Alas I have not. I can only guess what it sounds like, and that is probably similar to the 581 indeed. Some say it is better with redbook, which is possible, but I couldn’t tell you.